Recommended for sprinkler head protection,every parent with children need these guards. 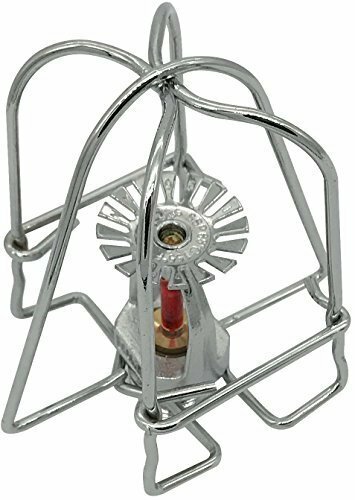 Wire clip type guard suitable for use with 1/2"NPT sprinkler heads in either the upright or pendent or horizontal sidewall position. If you need guards for ceiling & wall mount sprinkler head & 3/4" sprinkler head & flush mount and semi-recessed sprinkler head, please refer to our other Asins. Please kindly noted the price is only for the guard, not include sprinkler head. If you have any questions about this product by Happy Tree, contact us by completing and submitting the form below. If you are looking for a specif part number, please include it with your message.